Thelma Maid Abuse Trial: Why Is The Maximum Jail Term Only 12 Months? Uproar over social media broke at the start of the maid abuse trial Monday (Dec 14) for Filipina domestic helper Thelma Oyasan Gawidan. It was not just because of the horrific conditions in which her employers Lim Choon Hong and Chong Sui Foon put her in – starvation, working without sleep and a particular instance of feeding her with only instant noodles and bread when the couple and their kids stayed at the Raffles Hotel. But it was also because of the charge that prosecutors laid on the employers: one charge with a maximum jail term of only 12 months. It must be noted that the Attorney-General’s Chambers (AGC) maintain prosecutorial discretion in the charges they issue per case. What is this exact charge? And indeed, in Thelma’s case, the provision of adequate food was the main point of contention as she was presenting her case in court. But at no time in the trial at the State Courts (even in today’s hearing) did she mention anything about her employers laying a finger on her. 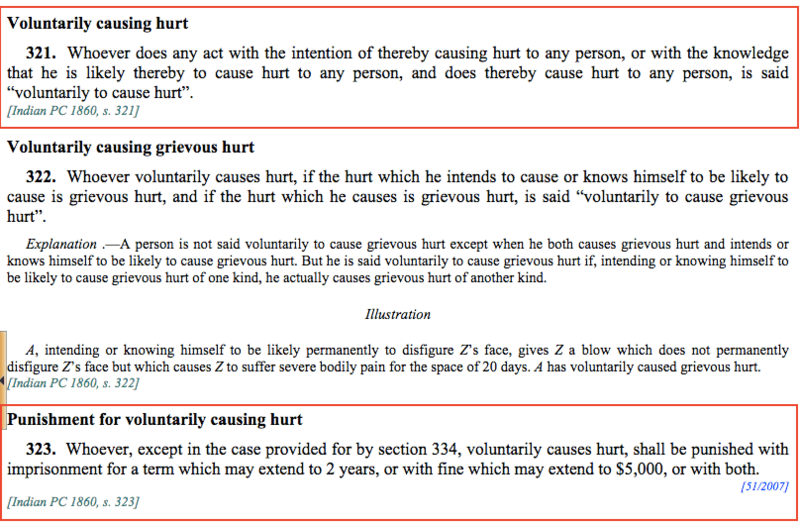 The punishment for voluntarily causing grievous hurt? 10 years, and the convicted offender shall also be liable to a fine or caning. The case presented before the court is one of contravening work pass conditions due to improper upkeep and maintenance; we have yet to hear from the defence who is expected to take the stand after the prosecution submits their case. We also have yet to hear fully from Thelma if there were other alleged misdeeds her employers have done. Could this have been a maid abuse case? The Penal Code provides for laws concerning hurt, but there remains a case to be made about starvation, emotional hurt and neglect. 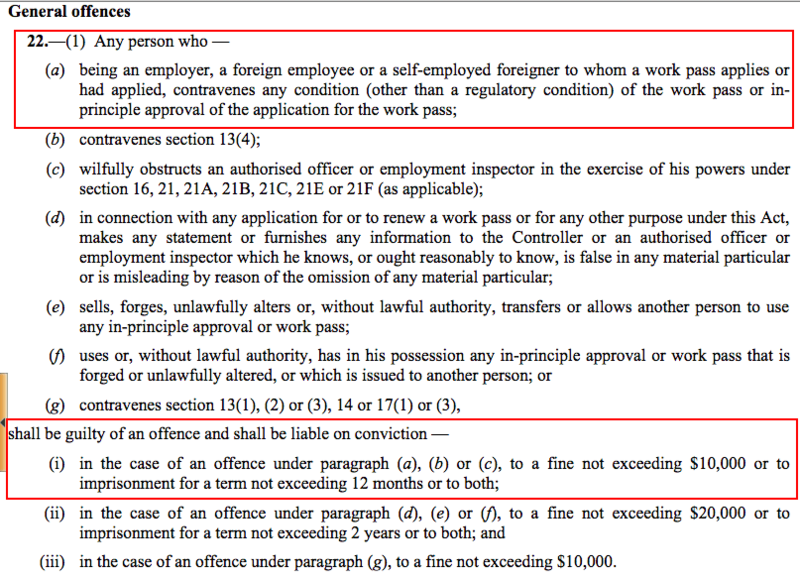 Where do these fall under, in the eyes of the law? For now, the charge remains as such. The trial continues in open court.